A quality recruiting process is crucial to attracting top talent efficiently. Along with resulting in compliance risks and increasing a company’s speed to hire, lack of efficiency during the last stage of the recruiting process, the offer letter, can hinder a company’s ability to look professional, result in candidates withdrawing, or accepting an offer from a competitor. The candidate experience is a key driving force in the recruiting process. In fact, people who are satisfied with their candidate experience are 38 percent more likely to accept a job offer. However, a negative candidate experience can damage a company’s overall reputation. Nearly four-in-five candidates (78 percent) say the overall candidate experience they receive is an indicator of how a company values its people, which consequently impacts their desire to become an employee. Having a strong employment brand goes hand in hand with producing a high-quality candidate experience. Recruiting processes are just an extension of a corporate brand, and so, it’s not surprising that 59 percent of employers are investing more in their employment brand compared to last year. Regardless of the industry, having a strong employment brand and candidate experience directly impacts the recruiting process as a whole, but especially affects the likelihood of a candidate accepting a final job offer. The recruiting process should be conducted professionally from start to finish. 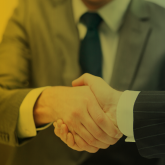 From the first candidate connection to the final offer letter, recruiters must ensure that their companies demonstrate professionalism during all steps of the process. However, the offer letter stage can either make or break candidates’ perceptions of a company, impacting their desire to accept its job offer. If candidates receive offer letters that don’t quite look professional, contain mistakes, formatting issues or are not branded, they may reconsider their decision to join the company. Overall, professional letter formats are comprised of consistent, repeatable templates and are a company’s last chance to distinguish itself from competitors during the final stage of the recruiting process. A significant investment is made in finding the right hire. Losing your best candidate results in a loss for your company in both time and money. In fact, a CEB survey of 900 recruiters and 6,000 hiring managers found that the average time to fill for employers increased by 50 percent from 2010. They found that the average vacancy costs $500 per position per day, a loss of $22,000 per position over the average period of 44 calendar days. After all the work you’ve put into sourcing and building a positive relationship with a candidate, you don’t want to lose them at the offer stage. You should feel confident in delivering an accurate and professional offer letter to seal the deal with your best candidates. A streamlined offer letter process will ensure that your letters have consistent fonts, proper spacing between paragraphs, the correct logo and an eSignature. Recruiters who use manual processes face frustrations when offer letters contain errors, are sent to the wrong candidates, embody different formats and require physical signatures. Maintaining a professional employment brand through an offer letter process will enhance your recruiting efforts and enable you to hire best-fit talent quickly. Read our previous article to learn more about what to include in your offer letters and how they impact speed to hire.